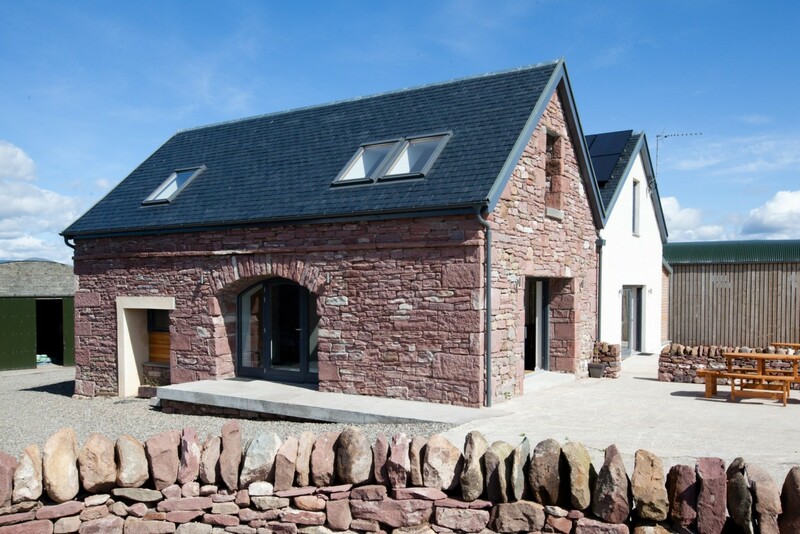 This project was to convert two semi-derelict farm buildings into sustainable holiday lets: Curlew Cottage with two bedrooms and the Old Dairy with four bedrooms, formerly a brick rendered byre and adjoining stone dairy. 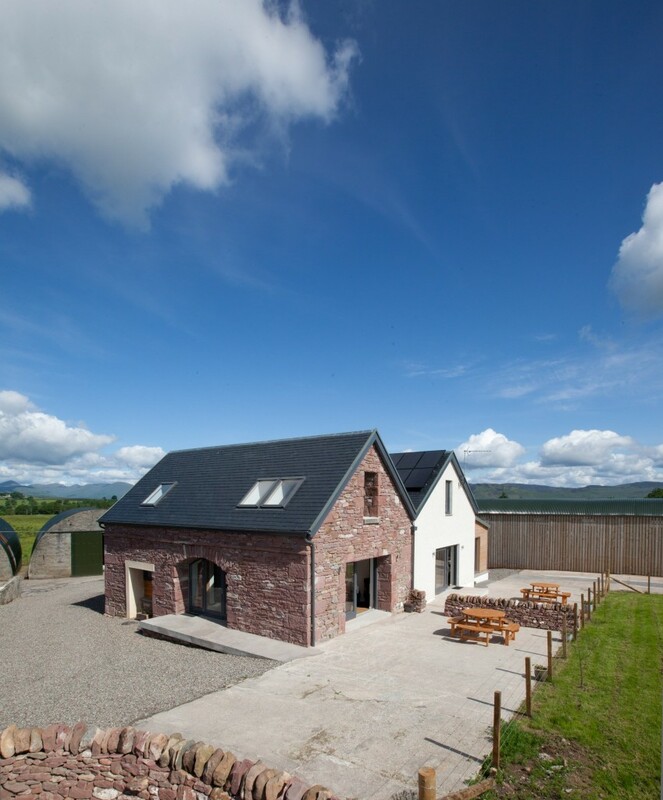 The clients were keen to maintain the simple modest form, shell and character of the existing buildings and use sustainable architectural methods, materials and designs. 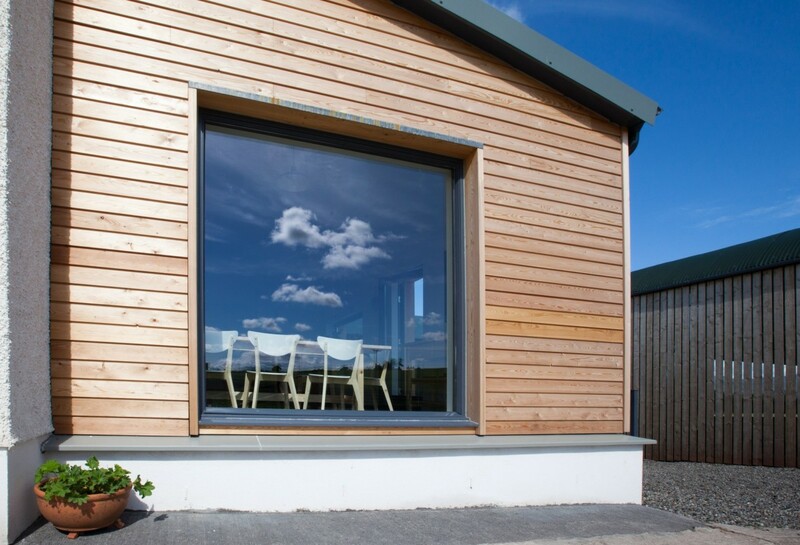 New windows in the renovated buildings provide pleasing views across the countryside. 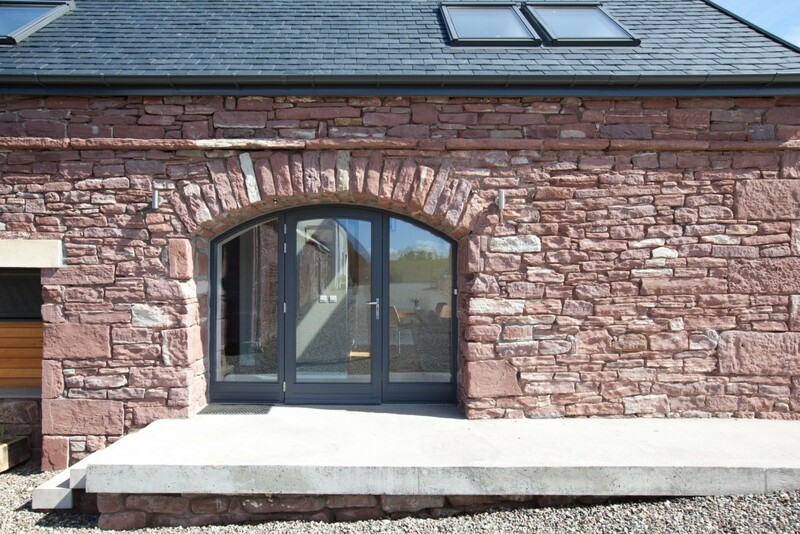 Existing materials and finishes were retained and reused, including an original stone archway on the smaller unit. 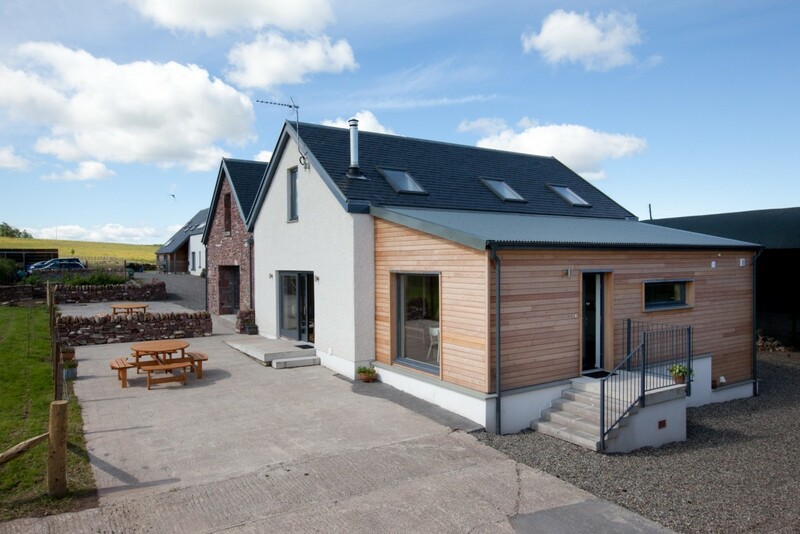 Larch cladding complements and enhances the traditional materials and ties in with the design of the new house (also designed by Thomas Robinson Architects five years previously). 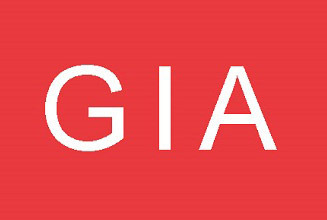 The ground floors are fully accessible to wheelchair users. 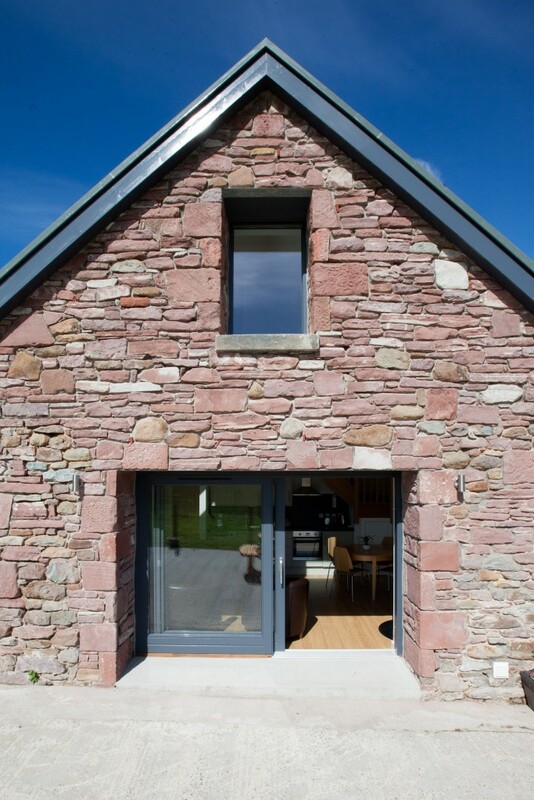 The sustainable design uses natural light and passive solar gain and has a high thermal efficiency. Internal insulation employed breathable materials such as wood fibre insulation. An intelligent breather membrane was also used. 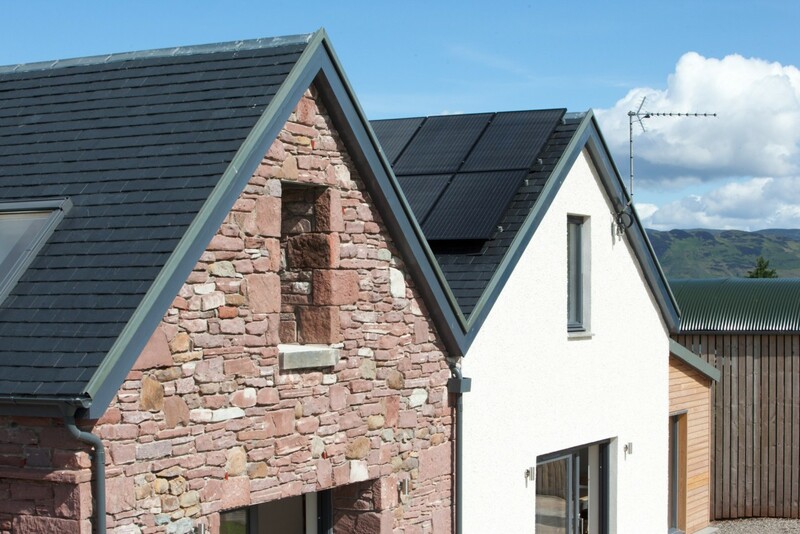 The U-values exceed building regulations and reach a Silver Level under the Association of Environmentally Conscious Builders’ Standards. 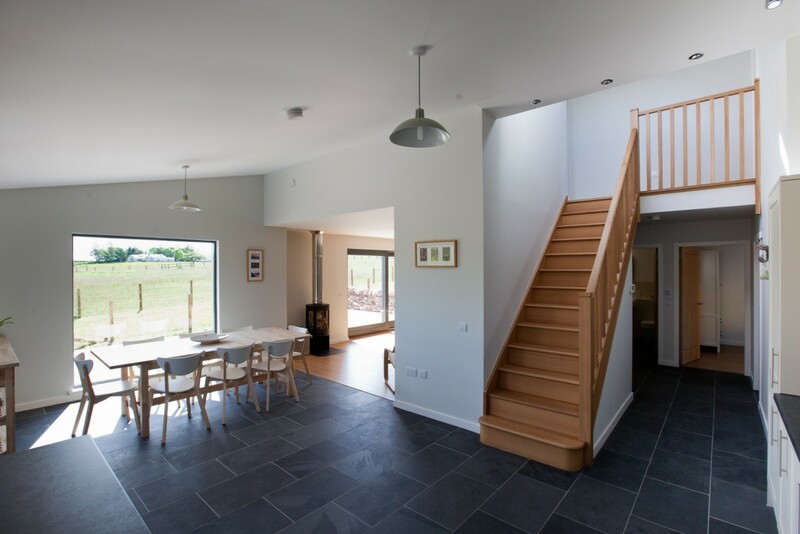 It also achieved exceptional results in air tightness tests, meeting the Passivhaus Enerphit Standards. 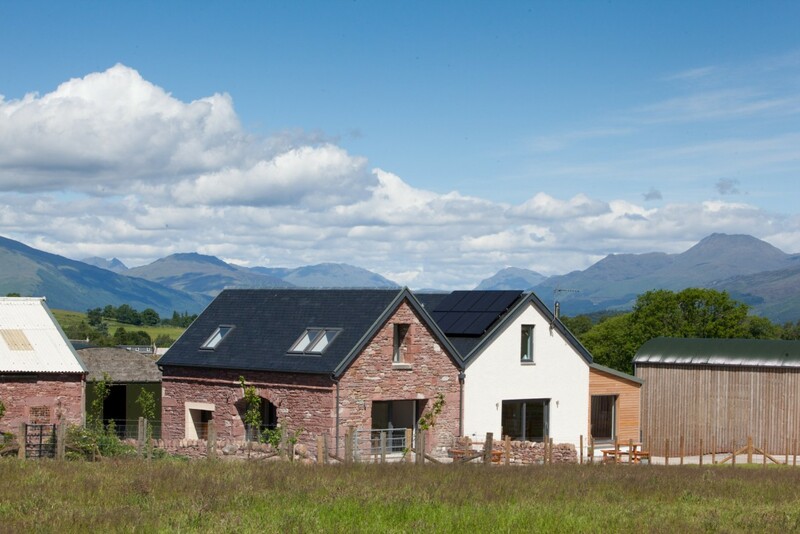 The ground source heat pump and solar panels produce most of the units’ energy on site. They also have a mechanical ventilation heat recovery system, under floor heating and high efficiency stoves as a backup heat source. 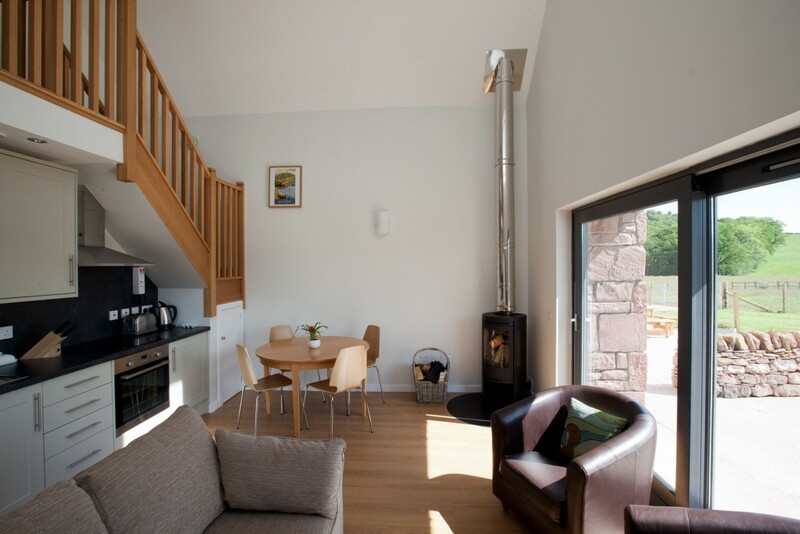 The two luxury self-catering holiday lets began successful trading in March 2012. 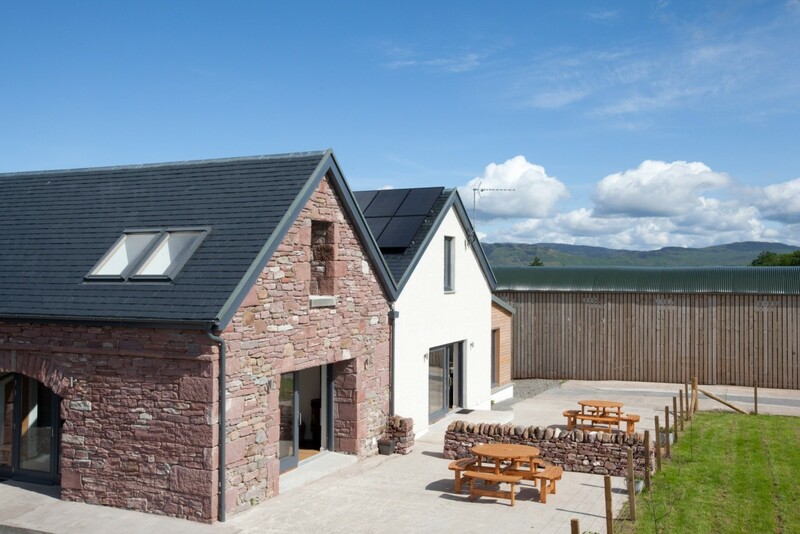 The enhancement of existing buildings by bringing them back to use and adopting sustainable design standards raises design quality and continued use of traditional farm buildings in the National Park. 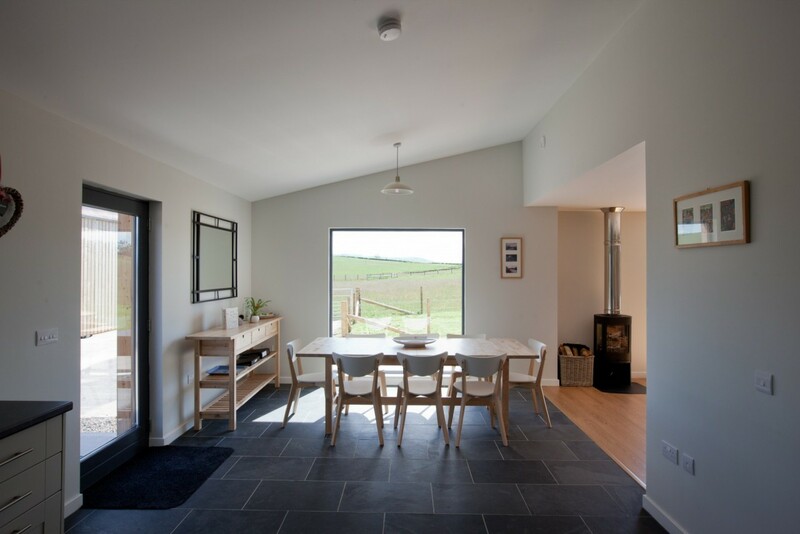 High quality visitor accommodation also aids development of tourism, which promotes a prosperous living and working countryside. This in turn contributes to the Park’s social, economic and environmental assets and encourages sustainable economic growth. 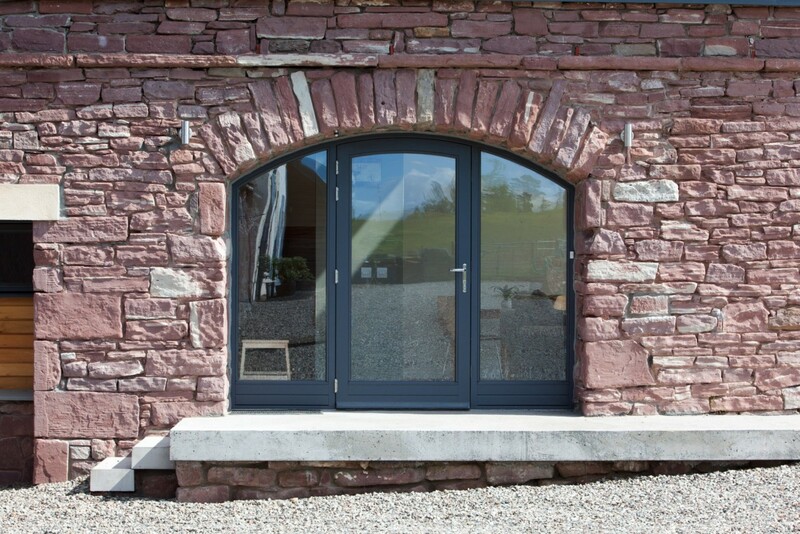 The sustainable features of the cottages are key to the renovation of the buildings and to how the owners now manage their smallholding.